We all know that we need adequate amounts of calcium in our diet for strong bones and teeth. Most people associate calcium with the consumption of cow's milk, although recent research reveals a different story. Although homogenized and pasteurized milk does have high amounts of this important mineral, it is not well absorbed or utilized in the body. Milk products often contain high levels of toxins like bovine growth hormones and antibiotics. The good news is that there are many other great foods that are high in calcium easy to incorporate into your daily diet. I must note however that raw organic goat or cow milk is a good source of calcium. 11 Foods High in Calcium: What Are They? These little white seed-wonders are very high in calcium, as well as other important vitamins and minerals. Raw sesame seeds contain almost 1000 mg of calcium per 100 g serving. Tahini butter, a popular sesame seed-based nut butter has 426 mg per 100 g serving. Many people are unaware that chia seeds are very high in calcium (as well as the beneficial omega 3 & 6 fatty acids needed for health). 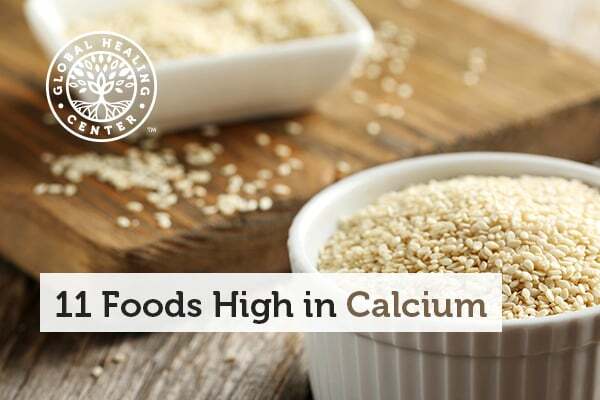 A 3.5-ounce serving — around a half cup — can provide about 631mg of calcium. Getting calcium from dark, green, leafy vegetables is an excellent choice. Spinach is high in calcium, with 56 mg of calcium per cup. A 100g serving of collards packs a 145 mg-calcium punch. One cup of steamed bok choy has around 158 mg of the mineral. Kale ranks in with 139 mg of calcium and the spicy mustard greens have 103 mg of calcium per 100 g serving. Not only are flax seeds high in calcium (256 mg per 100 g serving), they are also rich in omega-3 fats. Make sure to use ground or whole flax seeds, as the refined flaxseed oil loses a lot of calcium during processing. Flax seeds are also a great way to improve your intestinal health. One eight-ounce glass of freshly-squeezed organic orange juice offers approximately 27 mg of calcium. A cup of raw navel sections contains around 70 mg. Fortified orange juice contains more, but it’s ideal to get your minerals and vitamins from whole foods, if possible. Orange juice contains plenty of vitamin C, which will improve the amount of calcium your body absorbs. 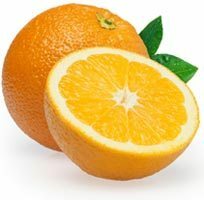 Oranges are also a great source of potassium, vitamin A and beta-carotene. A light and healthy whole grain, one cup of cooked quinoa offers approximately 20 to 80 mg of calcium, not to mention a high amount of potassium, zinc, and protein. This is an excellent sweetener for teas and baked goods. High in multiple vitamins and minerals, one tablespoon of this thick, dark molasses will give you 172 mg of your daily calcium needs. Try it in your morning cup of organic tea or coffee. Many beans are high in calcium. Winged beans possess 442 mg of calcium per 100 g serving. Many white beans are very high in calcium, with approximately 175mg of calcium per serving. Navy beans are also a great source of calcium, with 127 mg per cup. Some people are sensitive to the lectins contained in beans, though, so be sure to soak them, dump the water, them boil at high temperature, not in a slow cooker. 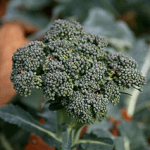 One cup of green broccoli florets offer approximately 74 mg of calcium, along with 120 mg of vitamin C which will help your body absorb the calcium. Broccoli also contains a high amount of vitamin K, vitamin A, folate, and dietary fiber. Many dried fruits are high in calcium. Eating five dried figs per day gives you 135 mg of calcium. Almonds are also extremely high in calcium. 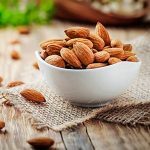 Raw, or ground into nut butter, almonds hold 266 mg of calcium per 100 g.
Who would have thought that adding dried herbs to your dishes would increase your calcium intake? Dried savory spice holds a whopping 2 g of calcium per 100 g serving. Other dried herbs that are calcium-rich include dill, basil, marjoram, thyme, oregano, poppy seed, mint, celery seed, sage, parsley, and rosemary. 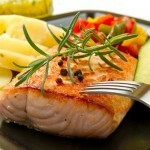 Aside from the foods listed above, there are many other ways to get calcium in your diet. I recommend supplementing your diet with a calcium supplement. I only recommend IntraCal™ calcium orotate. 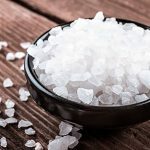 Calcium orotate is the most absorbable form of calcium and is the only calcium supplement I recommend to achieve the benefits of proper calcium levels. What high-calcium foods do you enjoy? Leave a comment below! USDA National Nutrient Database for Standard Reference Legacy Release. United States Department of Agriculture. April 2018. Accessed 25 Mar 2019.